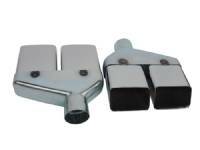 E-Body Zinc Coated Exhaust Tip Hangers. Sold as a Pair. 1970 AAR-T/A Cuda Zinc Coated Exhaust Tip Hangers. Sold as a Pair. 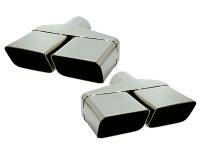 EXHAUST TIPS 70-74 CHALLENGER 2 1/2"
1970-74 Challenger 2-1/2" Stainless Steel Exhaust Tips. Sold as a Pair. 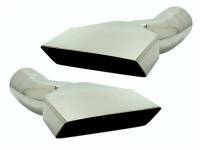 EXHAUST TIPS 70-74 CHALLENGER 2"
1970-74 Challenger Stainless Steel Exhaust Tips. Sold as a Pair. 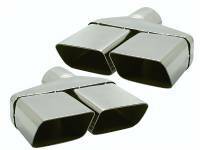 EXHAUST TIPS 70-74 CHALLENGER 3"
1970-74 Challenger 3" Stainless Steel Exhaust Tips. Sold as a Pair. 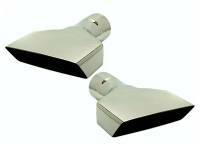 EXHAUST TIPS 70-74 CUDA 2 1/2"
1970-74 Cuda 2-1/2" Stainless Steel Exhaust Tips. Sold as a Pair. EXHAUST TIPS 70-74 CUDA 2"
1970-74 Cuda Stainless Steel Exhaust Tips. Sold as a Pair. EXHAUST TIPS 70-74 CUDA 3"
1970-74 Cuda 3” Stainless Steel Exhaust Tips. Sold As a Pair.